Sharon and I recently started feeding the birds in the front yard and word has spread quickly through our corner of the animal kingdom. All types of different ones have shown up to taste our cuisine, and someone told the squirrels too, who swing around on our feeder like it was an extreme sport. We buy the seed without any shells because if you don't the birds will leave behind the inedible portions and they will rot and stink. That stuff ain't cheap but those squirrels throw half of it on the ground with their acrobatics. I was getting kind of pissed until I noticed that the little chipmunk that lives under our porch was going out there and stuffing his cheeks full of the seeds that fell on the ground. He's a little rodent vacuum cleaner and obviously understand how hard we work to provide those premium noms. Critters are the best thing in the world and you should surround yourself with them at all times. 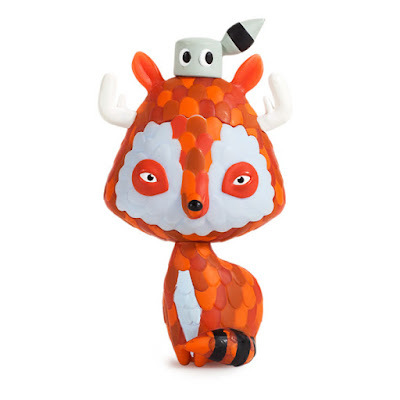 Sometimes it's not always practical to bring the wilderness into your home, which makes these vinyl toys from Horrible Adorables and Kidrobot the perfect alternative. 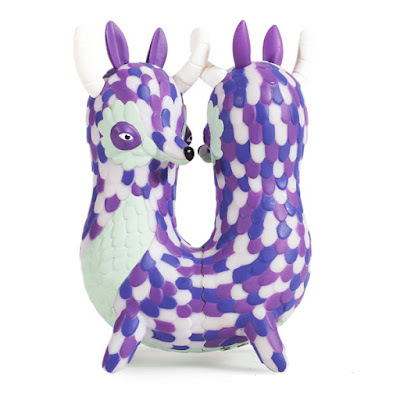 They have been amazingly interpreted from felt into plastic by Bigshot Toyworks and they will never require emergency trips to the pet store when they run low on food. Or pricey trips to the vet when they decide that shirt sleeves look appetizing and they'll just go ahead and eat one to test that theory and then realize that while tasty they don't actually digest so they're gonna need xrays and a tube of grease to get that wad of fabric moving and now you have to keep your clothes locked away in a room where they can't get to them when you're not looking for fear that they're not the best at learning valuable lessons the first time around and put you further into crippling debt. Not that I've experienced that one, Icarus! The first two of the series will be available May 6th on www.kidrobot.com or wherever you buy your designer toys.